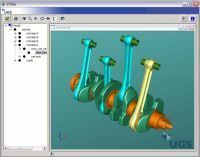 Femap is recognized as the world’s leading CAD-independent Windows-native pre- and post-processor for advanced engineering finite element analysis (FEA). 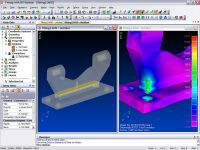 It provides engineers and analysts with an FEA modelling solution to handle even the most complex tasks easily, accurately and affordably. Femap has embodied the principles of power and simplicity for over 30 years and continues that focus today with a new Microsoft Office compatible graphical user interface, which streamlines working processes and access to all Femap functionality. Femap delivers a depth of functionality normally only found in more expensive applications. With powerful tools easing all aspects of the creation, manipulation and review of an engineering analysis model, Femap is the natural choice for a complete CAD-independent analysis environment. 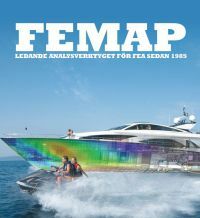 Femap provides exceptional value and performance and is not limited to geometry-based digital data. 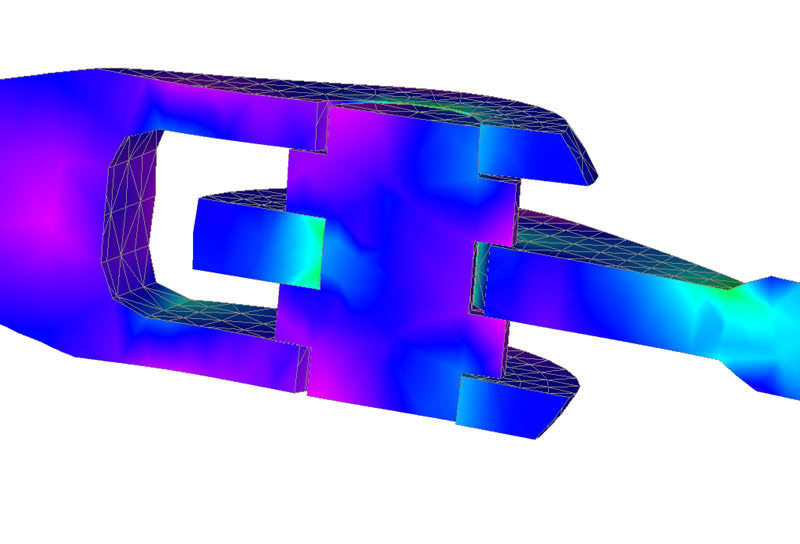 Femap will also delight customers working with pure finite element model data. As nuts-and-bolts, “bottom up” finite element pre- and post-processing solution, Femap provides a range of FEA model readers to rapidly import existing models from many FEA solvers. 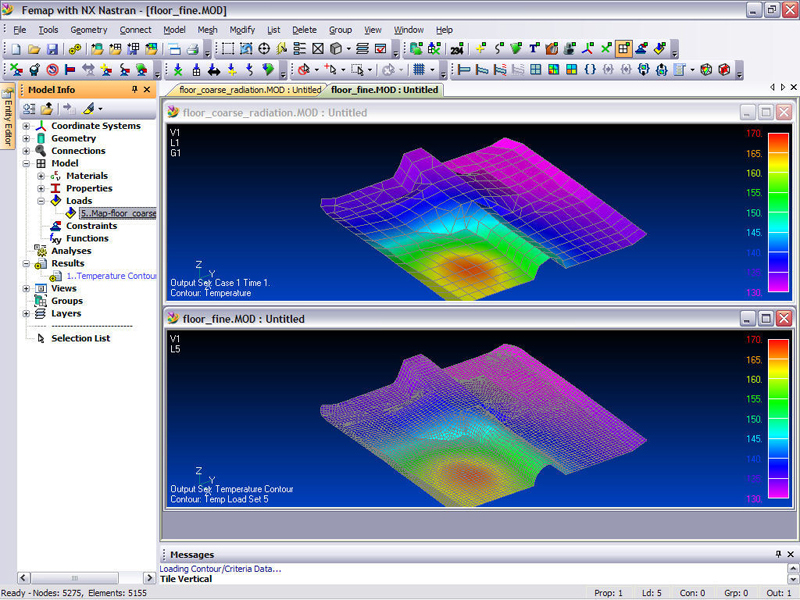 Advanced functionality then eases manipulation of finite element data at the node and element level. The bottom line is that Femap makes it possible to quickly create models that accurately predict the structural, dynamic and thermal performance of single components, assemblies or complex systems. 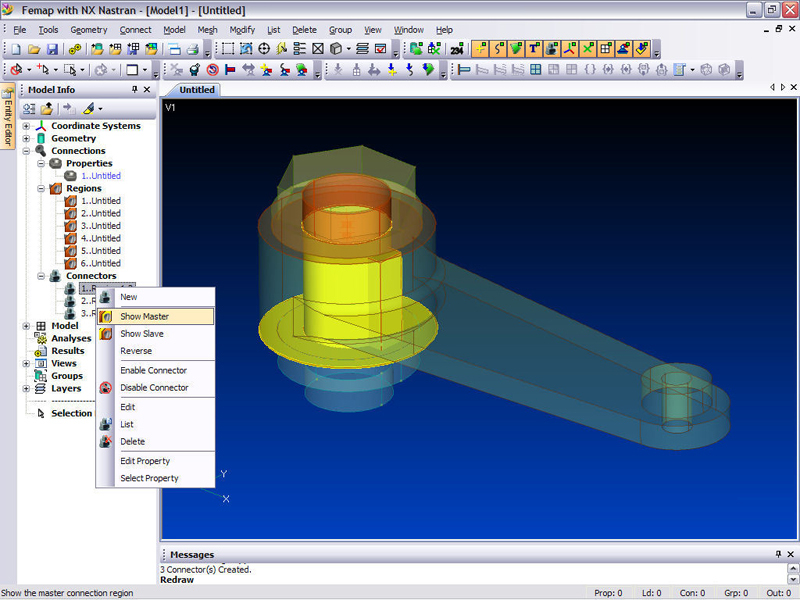 Femap offers seamless geometry access with major CAD systems such as Pro/Creo, Catia, NX, Solid Edge, AutoCAD and Solid Works. Based on the industry-standard Parasolid geometry engine, Femap offers extensive geometry creation tools including standard wireframe curves, surface and solid modelling. Powerful shelling, blending, Boolean operations, surface imprinting and lofting combine to make Femap extremely effective at creating geometry for analysis.t. Femap provides in-depth, high-quality support for industry standard solvers, including the popular and proven NX Nastran, Autodesk Nastran, MSC/MDNastran, Abaqus, Ansys, MSC.Marc, LS-DYNA, SINDA and TMG. 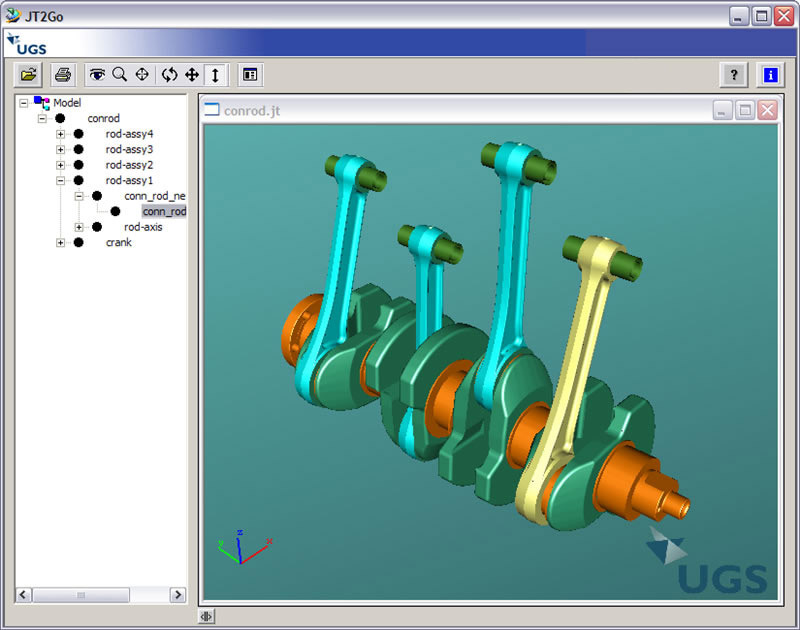 Femap provides the ability to re-use and integrate analysis models from legacy data and from customers and suppliers. Femap’s complete element library, with comprehensive support of physical and material definitions, takes full advantage of the advanced capabilities of these solvers, including dynamic, geometric and material non-linear, heat transfer and fluid flow applications. 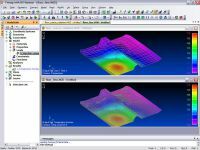 Leading third party solution providers use Femap to perform CFD, soil modelling, advanced thermal analysis and electromagnetic simulations. 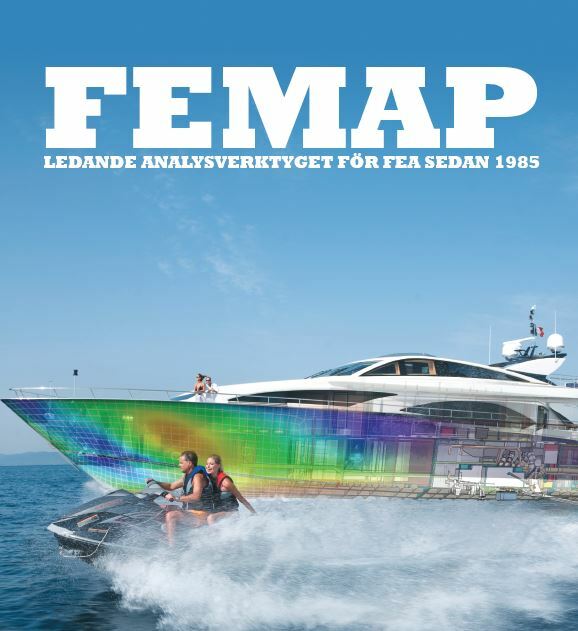 Femap also provides extensive tools for checking your model. It constantly examines input to prevent errors in the model, and provides immediate visual feedback. Each of these methods can be used to identify and eliminate potential errors, saving you considerable time and money.